In addition to changes and improvements in the art program, there has been an extensive photo overhaul. 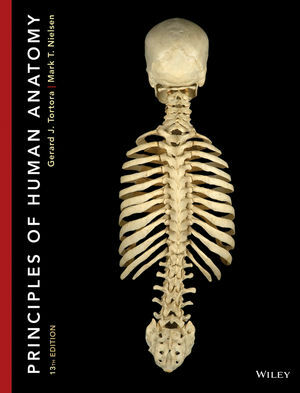 Co-author Mark Nielsen has increased the number and quality of cadaver images to best demonstrate the anatomical structures of all the body systems. Seamless integration of Real Anatomy 2.0 with our teaching and learning platform, WileyPLUS. Real Anatomy 2.0 uses 3-D digital imaging software to allow students to dissect through numerous layers of a real human body. Clinical Connections have been greatly expanded and increased in number in every chapter to provide students with the most relevant applications of the content. WileyPLUS is a research-based online environment for effective teaching and learning. WileyPLUS is rich with interactive study tools and resources–including the complete online textbook–to guide your students through the course. WileyPLUS now includes an adaptive learning module called ORION. Based on cognitive science, WileyPLUS with ORION provides students with a personal, adaptive learning experience so they can build their proficiency on topics and use their study time most effectively. WileyPLUS with ORION helps students learn by learning about them. Real Anatomy 2.0 is web-based 3-D imaging software that allows students to dissect through over 40 layers of a real human body to study the anatomical structures of all body systems. The software is web-based and integrated in WileyPLUS along with worksheets and questions designed to optimize student use. Now supported on tablets. A concise narrative, praised by students for its straightforward and easily comprehensible writing style, emphasizes scientific content over extraneous detail. Exhibits: specially designed self-contained lessons provide students with the extra help needed to learn the numerous structures that constitute certain body system; most notably the skeleton and joints, skeletal muscles, articulations, blood vessels and nerves. Continued coverage of scientific research and breakthroughs in understanding the human body maintains the text’s reputation for being on the cutting edge. “I wonder” questions and engaging text set the stage for student understanding of relevant real-world application.